Heading towards Wawel castle from the main market square, one can take any number of small roads lined with shops - including one where I finally bought my 3 player chess set (which I've been looking for since my first visit to Warsaw four years ago). 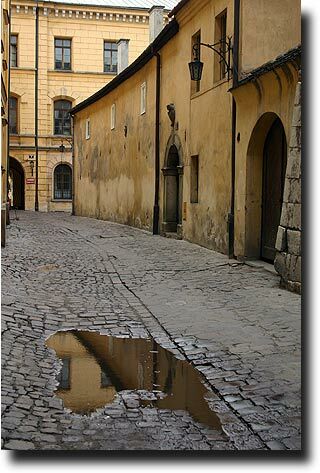 While many of the alleys were thronged with shoppers, I could occasionally come across quiet corners that reflected the character of the old city. 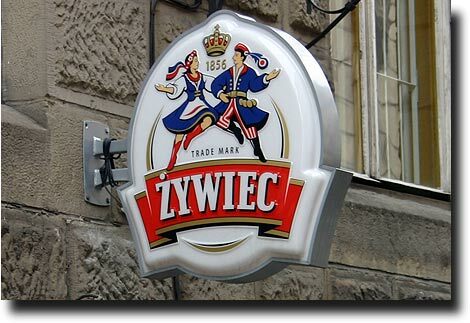 And then I'd usually stop to have a beer. 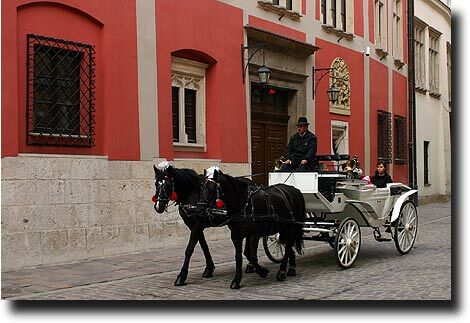 The horse rides are a peaceful way to see the old town - but riding around might take away the opportunity to meet some of more colorful residents. 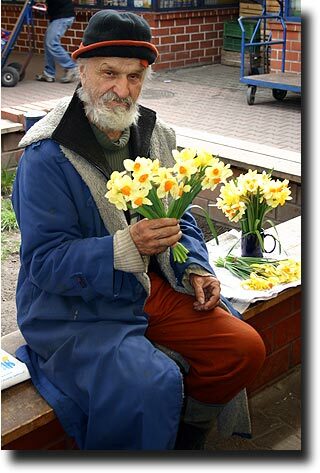 This old man was selling flowers in a small market stall and seemed pleased to meet an American. 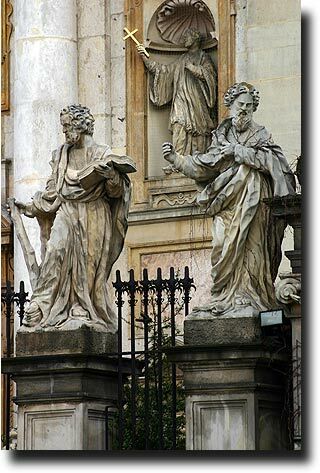 The large and imposing cathedral of St. Peter and St. Paul presents a fantastic facade fronted by statues of the 12 apostles. It is located across from a small square currently used as a skatepark and pick up spot for horse carriages. 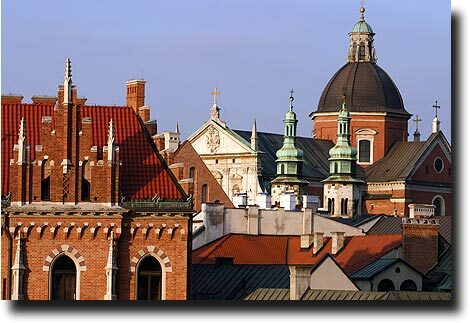 As one gets further away from downtown, the rooftops and spires rise into sharp relief, illustrating why the town has such a reputation as a wonderful place to visit. 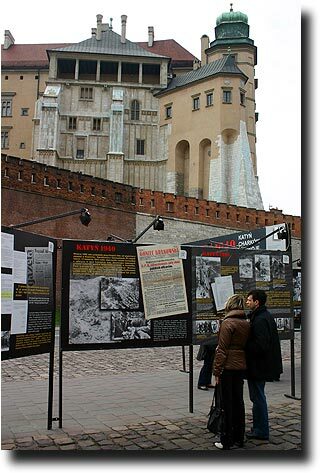 At the base of the castle, there is a display to the victims of the Katyn massacre. 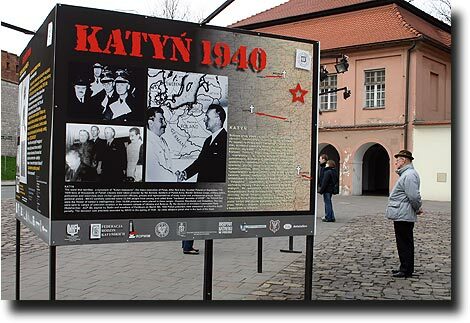 In 1940, Polish civilians were rounded up and murdered by the Nazis with the collusion of the Soviets, their then-allies. 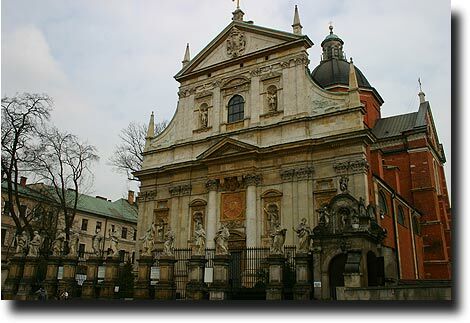 It is a harrowing testimony to a dark chapter in Polish history, something to keep in mind as I climbed the steps to relive some more glorious memories from the country's past.